Adelaide is a city of some 1.2Million people, they are divided by race, culture, class and suburb lines. South, North, West and East; they all have a unique personality and stereotype. However the biggest divide in the city comes from sport, and in particular AFL. 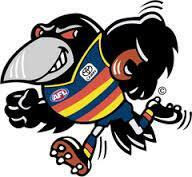 The Adelaide Crows have had a power hold over this city since they joined the competition in the early 1990s, in a controversial move that alienated the countries most successful football team, Port Adelaide. 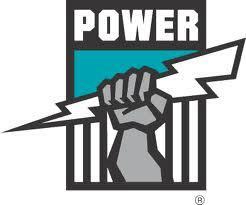 Port Adelaide did of course enter the competition and have had success and sadly terrible failure, the loss to Geelong at the 2007 Grand Final haunts them to this day. However, the power is in a state of rebuild, a new coach, president, assistant coach and fitness coach have all aided in the revival of a club that managed five wins last year to be pushing for a finals birth. Don't forget Port lost to the GWS Giants last year. Meanwhile over at West Lakes, the Crows limp along in what was a terrible year after finishing a kick away from a Grand Final last season. Sure they lost both their power forwards, but looking back, the option to not take Jessie White (who kicked 3 goals on the Crows) and a draft pick for Tippet; which resulted in two years of draft sanctions and banning of Steven Trigg could be a terrible mistake felt for years. Two clubs, one city. They both have strong member bases and deserve the mutual respect and admiration of the entire city, it is a testament to the city that it can support two clubs and sure the rivalry is fine during showdowns. However, this city needs to embrace both as their own.